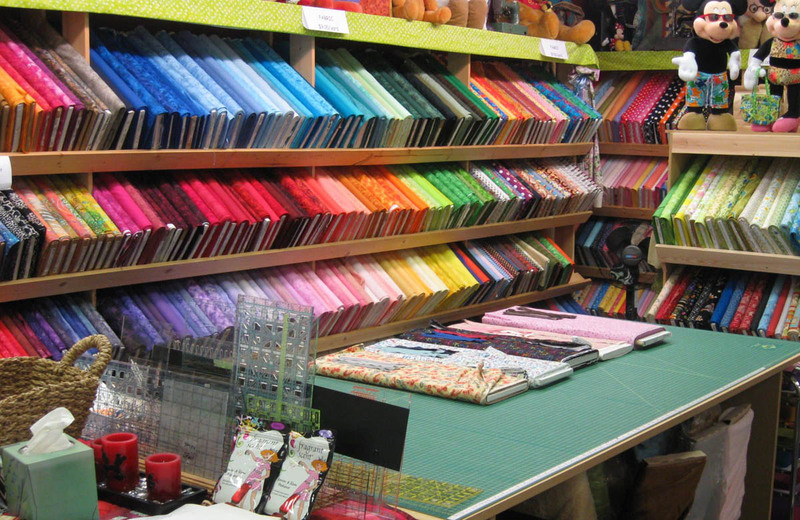 All quilt shops have their own personality, flavor and taste in fabrics, and a flare for ... brights/ contemporary/ Civil War reproductions/ embellishments/ embroidery or ____ (fill in the "blank"—no pun intended). Several shops also have a mascot or "shop kitty," as does MidSouth Sewing Center in Knoxville, Tennessee. Meet Rascal! Rascal, Chief Furry Officer, at MidSouth Sewing in Knoxville, TN. 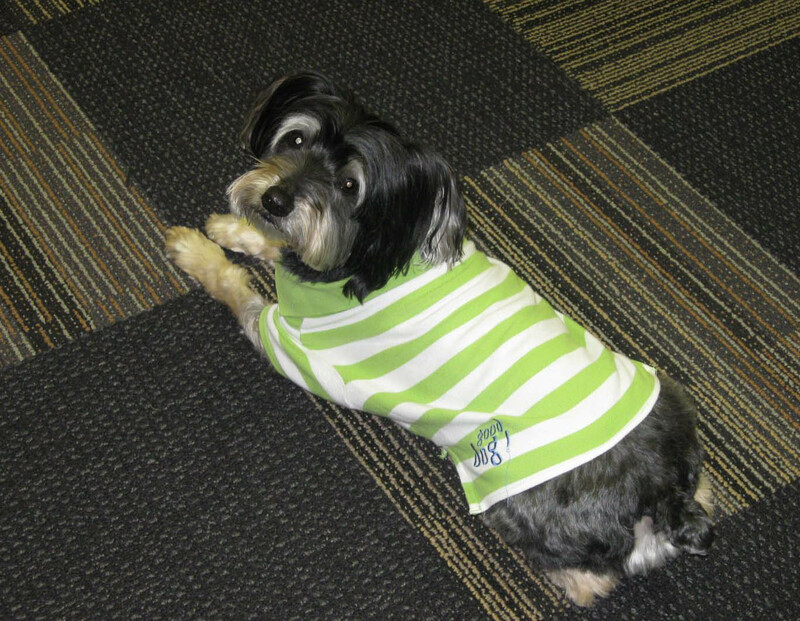 Rascal is the CFO (Chief Furry Officer) who greeted me at the door—with tail wagging—sporting a cotton knit monogrammed shirt. 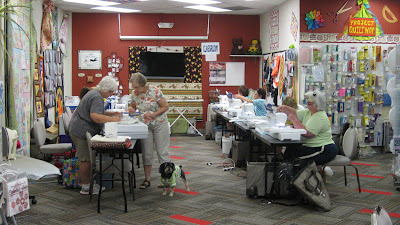 In addition to his job as store manager, Rascal was overseeing the Sun Bonnet Sue machine appliqué-in-the-hoop class that was in session while I was there. Rascal checks on the progress of the students attending class. 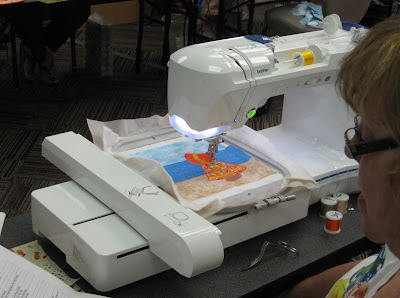 The spacious open classroom area at Mid South Sewing is surrounded by walls of notions, machine accessories, displays of quilts and sewing projects, patterns and designs (paper and digital) and myriad embroidery appurtenances. Sun Bonnet Sue appliqué class project. MidSouth Sewing carries Brother and Juki sewing, embroidery and serger machines for every skill level and project requirement. 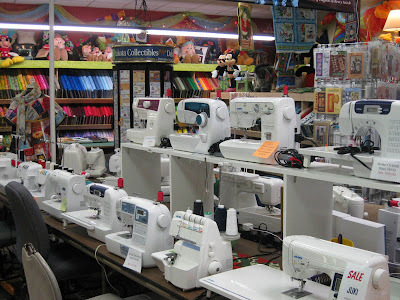 Brother and Juki sewing machines and sergers. 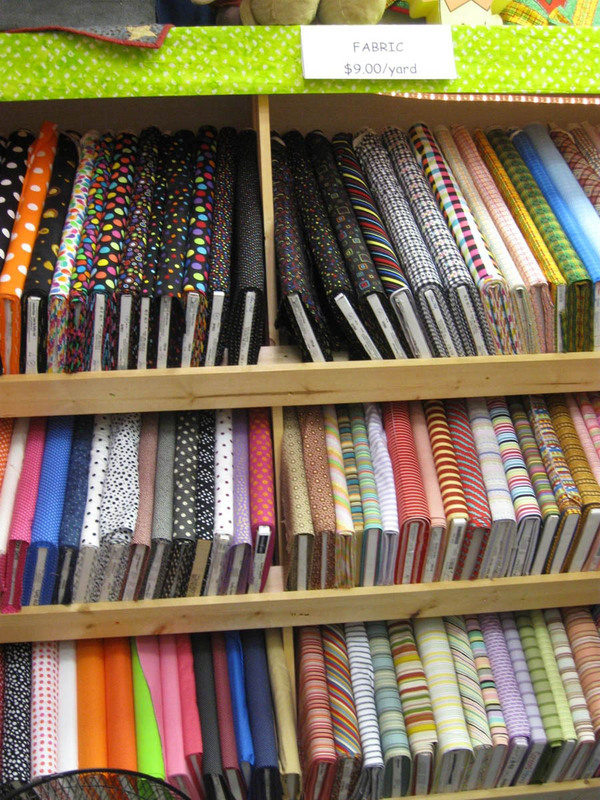 The fabric selection includes a wonderful array of blenders, whimsical prints, brights, stripes, and novelty prints as well as softer florals and contemporary paisley, swirl and vine designs. Fabric and cutting area at MidSouth Sewing. 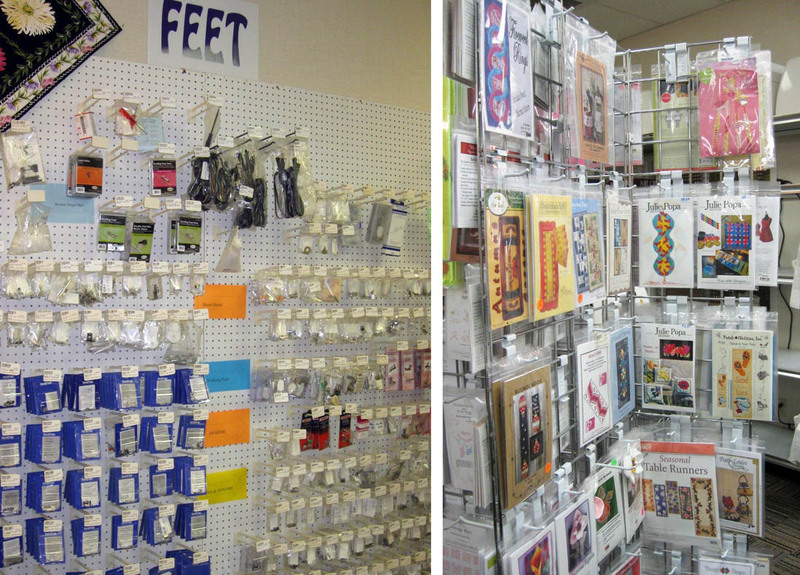 Dots, stripes and geometers fill the shelves. 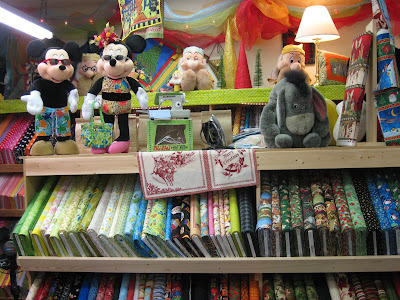 The Disney family watches from atop the fabric shelves. Novelty, animal and other 100% cotton fabrics. Machine accessories and patterns abound. 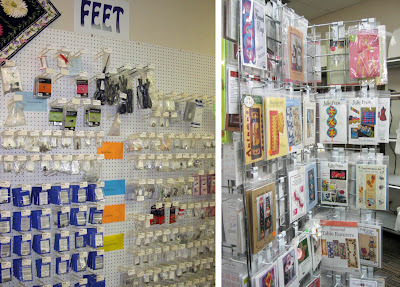 Sewing machine accessories, feet and patterns. 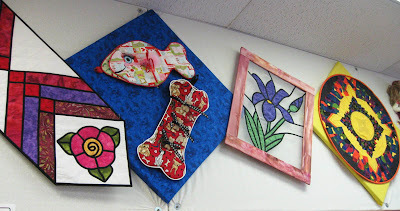 And, there is plenty of inspiration and examples of embroidery, sewing and home dec projects throughout the store. Embroidery, quilting and sewing projects are displayed on wall boards. These 3-dimensional wall art pieces were made by one of their regular customers. Aren't they fabulous?! One of Rascal's favorite quick-sew projects is the Christmas stocking in the shape of a Milkbone dog treat. The fabric has pictures of man's best friend on it, of course. 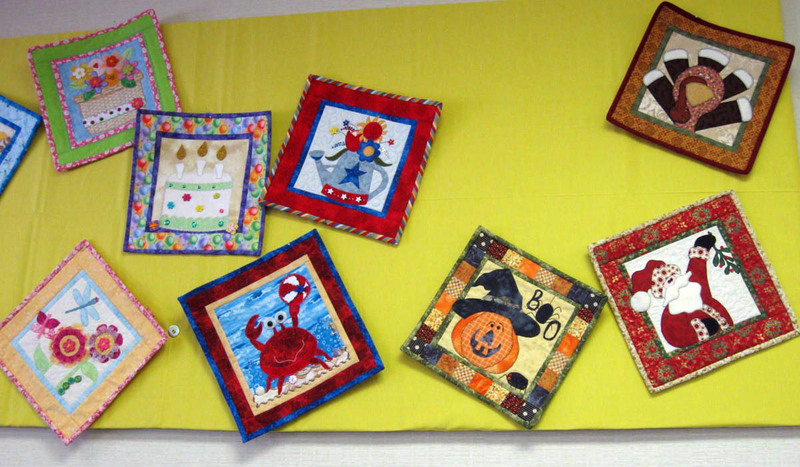 Or, you can make a similar project for your favorite feline, too. 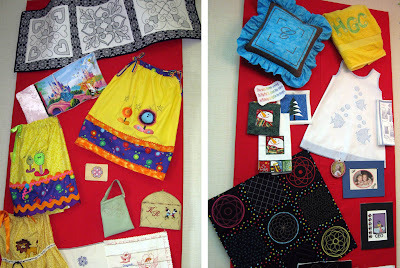 More project inspiration! Take note of the Milkbone Christmas stocking. Oh, did I mention thread? 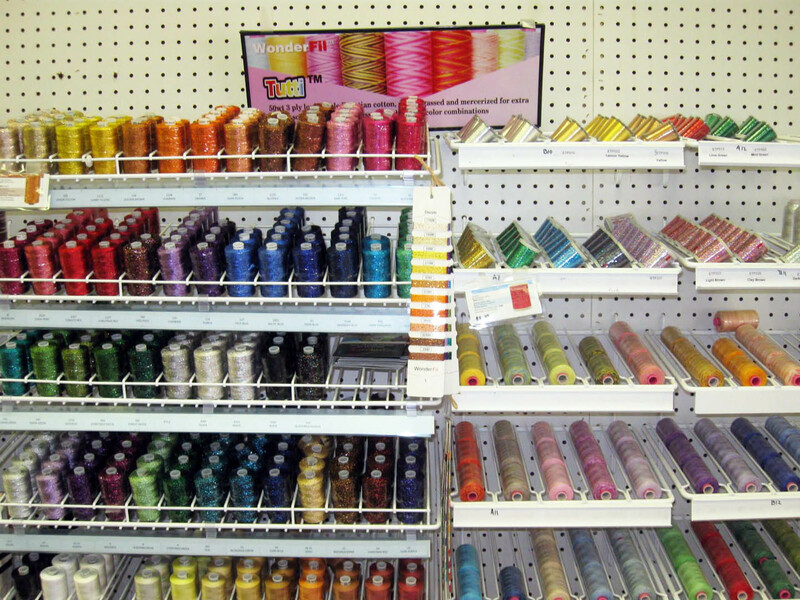 Karen, the shop's owner, and I had a engaging conversation about one of my favorite lines of thread that she carries— Wonderfil Thread. Wonderfil and other quilting and embroidery threads. I'm very fond of Tutti and Konfetti 50 wt. cotton for machine quilting and piecing. And, after my tete-a-tete with Karen, I couldn't leave without some Razzle and Deco-Bob to experiment with machine couching, bobbin work and free-motion stippling. Yum, yum! 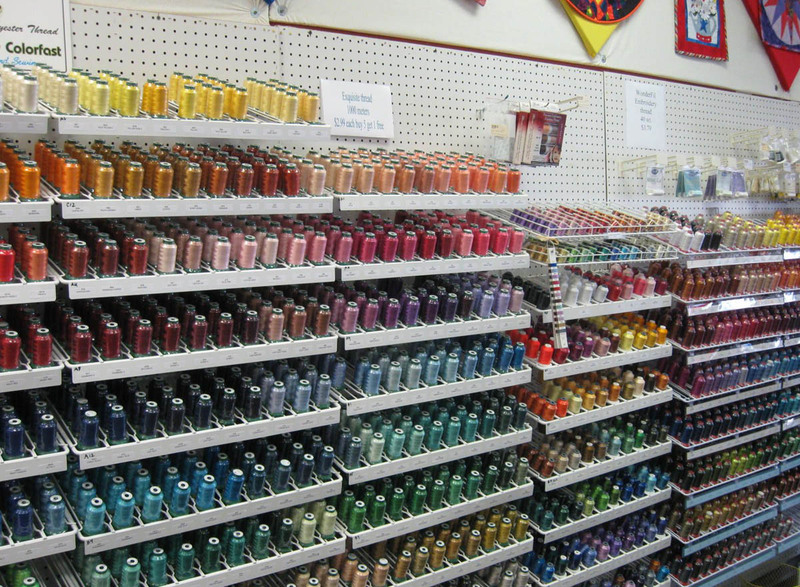 Wonderfil Razzle, Dazzle, Tutti, Konfetti, Spotlite (metallic) and Dec-Bob threads. 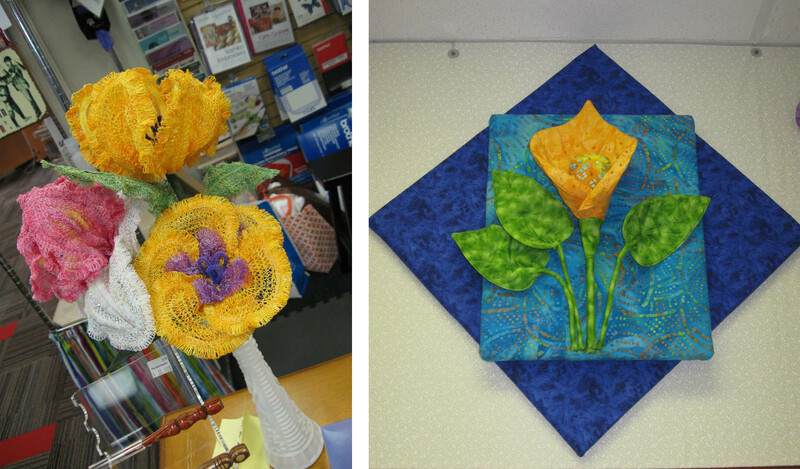 A vase of threadwork flowers (left) brightened the front counter and complemented the 3D fabric art hanging above. Thread and fabric flowers in three dimensions! 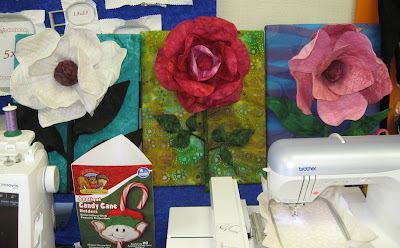 I am mulling a quilt design in my head using the Joy Basket Fat Quarter bundles. The selection of sumptuous nutmeg and jewel tone bluegrass green Razzle (8 wt. 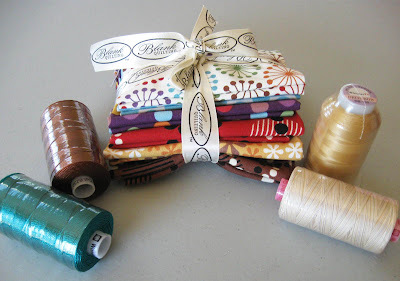 ), a spool of soft gold Deco-Bob (80 wt.) 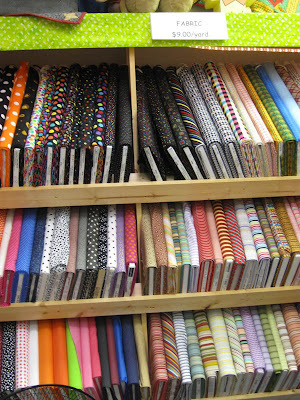 and the subtly variegated beiges and creams of Tutti (50 wt. cotton) should provide some snap and contrast to the composition. Don't you think? slated for an upcoming quilt project. 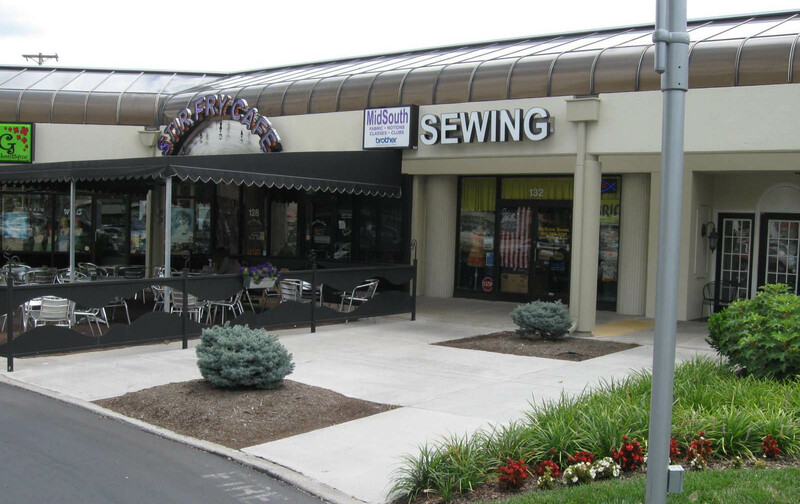 MidSouth Sewing Center in Knoxville, Tennessee. Where did you get those slat wall thread holders? I would those for our shop.